Chromebook Pixel is a fully featured Chromebook that measures 297.7 x 224.6 x 16.2mm and weights 1.52kg. The Chromebook runs on Google Chrome OS, and features Intel Core i5 1.8GHz dual-core processor, integrated Intel HD Graphics 4000, 4GB DDR3 RAM, 32GB/64GB SSD, 12.85-inch, 400-nit multi-touchscreen display with a 3:2 aspect ratio, 2560 x 1700 pixels resolution and 239 PPI, and HD webcam. Moreover, other specs also include backlit keyboard, fully clickable etched-glass trackpad, 2 USB 2.0 ports, mini display port, 2-in-1 card reader for SD and MMC, headphone/microphone jack, integrated DSP, powerful speakers, dual-band WiFi, Bluetooth 3.0, and optional LTE. Apart from that, the 59Wh rechargeable battery provides up to 5 hours of active use. 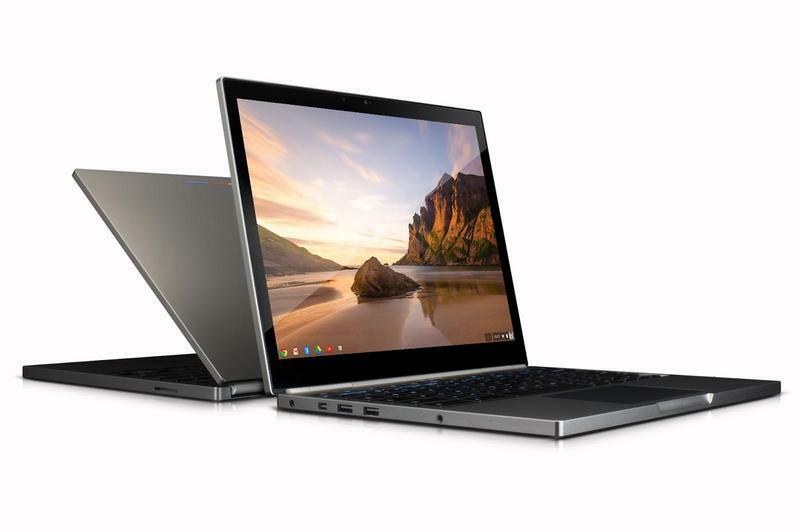 Google Chromebook Pixel is available in two models, and starting from $1299 USD. If you’re interested, jump to Google Play for more details.